JUSTICE minister Given Lubinda says the government will not bar any individual or institutions from having a parallel dialogue over the weather, witchcraft, the Constitution or the economy. And Lubinda has asked under which law the Church can be said to be a representative of Zambians’ views. Government is in the process of establishing a bloated National Dialogue Forum (NDF) whose objective, among other things, would be to provide for a national dialogue process to facilitate the Constitution refinement process and regulation of political parties, public order and electoral process reforms. According to a voluminous provisional bill, the Act may be cited as the national dialogue (Constitution, electoral process, public order and political parties) Act 2019 and that it shall come into operation on the date appointed by the minister by Statutory Instrument. The bill is titled an Act to facilitate the implementation of the Siavonga resolutions of political parties relating to constitutional and institutional reforms, separation of powers and judicial independence, tolerance, freedom of assembly and civility in politics and electoral reforms, provide for a national dialogue process to facilitate the Constitution refinement process and regulation of political parties, public order and electoral process reforms, establish the National Dialogue Forum and provide for its functions and provide for matters connected with, or incidental to, the foregoing. 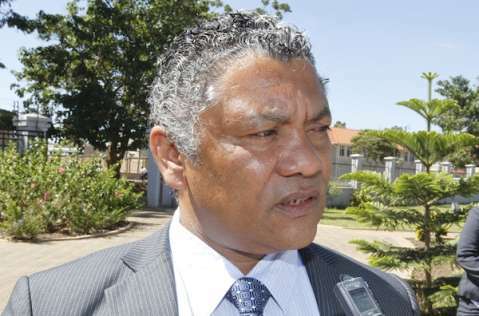 Submitting to the parliamentary committee on legal affairs, human rights, national guidance, gender matters and governance at Parliament buildings, Lubinda explained that the background of the national dialogue bill was the enactment of the amended Constitution Act No. two of 2016. Itezhi Tezhi UPND member of parliament evangelist Herbert Shabula asked Lubinda what guarantee was there that the NDF would produce the desired results and not end up like the National Constitution Conference (NCC). “This is a much smaller process and unlike the NCC where institutions where invited because they are institutions, here institutions are being invited because they made submissions,” Lubinda said. Lumezi independent member of parliament and vice-chairperson of the committee Pilila Jere reminded Lubinda that some stakeholders were uncomfortable by the fact that the NDF was being driven by the executive. She asked what mechanisms had been put in place to ensure that the recommendations made by the Forum would be protected. Lubinda, in his answer, noted that decisions of the NDF would be arrived at by consensus. “Where there is no consensus, it will be by majority vote. The process itself is protecting the participants and their views,” he assured. Kasenengwa PF member of parliament Sensio Banda asked on whether or not the NDF would be neutral, considering that its chairperson would be a presidential appointee. “The neutrality of this process is derived from the members and how those members have been arrived at. The members are derived from those who made submissions. It can’t be more neutral than that!” Lubinda explained. Dundumwezi UPND member of parliament Edgar Sing’ombe asked why the government was about to legislate dialogue when some stakeholders felt that the process ought to be accomplished through a process of deliberate compromises and consensus-building. “All we’ve said is [that] it is the duty of the Head of State, through his government, to respond to that private member’s motion for Parliament to urge government to refine the Constitution. That’s exactly what we are doing! We have said let us create this Forum to allow us to dialogue on these four issues – the Constitution, the public order Act, the electoral process Act and the political parties bill,” he noted. He underscored that the government was not going to allow itself to stop governing. “The only thing we’ve said is that the government has an interest in ensuring that the Constitution is refined; the public order Act is refined, the electoral process Act is refined, the political parties bill is passed to meet the aspirations of the Zambians as they have submitted. We’ll govern that process,” Lubinda emphasised. Lubinda told the committee that there was no tinge of arrogance from the government side, insofar as its stance on national dialogue. “The Church, yes, we go to Church every Sunday because that’s the workshop for us to be healed. But tell me if it’s correct to say that the Church is a representative of the views of the people of Zambia? Under which law can the Church be said to be a representative of the people of Zambia, over and above Parliament?” asked Lubinda.